The Samsung Galaxy S6 Edge was released in April 2015. It is a variant of the S6 with a screen which wraps around the sides of the device. The curved sides can be swiped to bring up some additional features. The S6 and S6 Edge have a metal unibody frame with a glass backing instead of the plastic used on their predecessor (the S5). Below we list the most common repairs that we carry out to the Galaxy S6 Edge. We repair to the highest industry standards using the best quality parts. No job is too big or small and we also specialise in soldering services meaning that we can help where some other people can't. 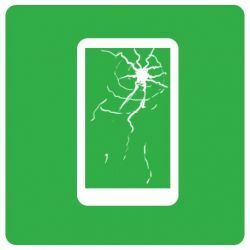 So whether the Samsung Galaxy S6 Edge screen is cracked, or the charging port is damaged, you can be confident that our service is well placed to repair your device. Samsung Galaxy S6 Edge Repair There are 2 products.